From its mysterious creation in ancient Egypt to the present, the "Stone of Time" has fascinated the world for centuries. The permanence and brilliance of a bygone era has been captured in QI's masterfully sculpted Luxor Pillars of genuine black marble. These pieces are an everlasting monument of exceptional acclaim that truly awards and acknowledges outstanding achievement. Presentation/Gift box included. 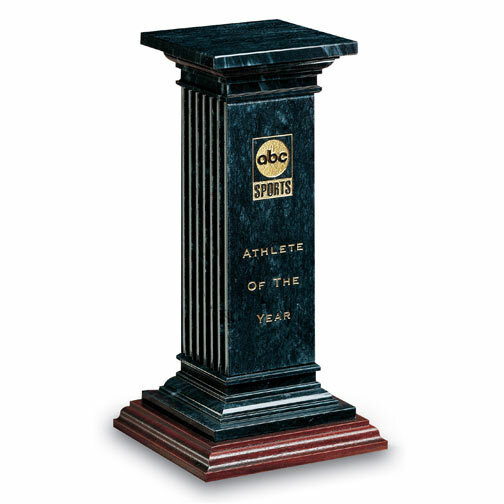 Marble Gifts & Awards that require art work, please allow up to 7 business days.